Oh this little Annie! Friends of ours from college came to visit us along with their most adorable girls and just in time for Annie’s six month photos! What a little sweetie with a head full of gorgeous locks and big blue eyes! As much as I love newborn sessions, Wooster baby photography sessions are just so much fun! It’s all about their sweet personality, gummy grins, and those baby rolls! Pretty much everything adorable, right?? I spy some toes peeking out! Bowl by Photo Block Props, one of the best vendors ever! Why hello there! Aren’t toes the tastiest thing ever?? If only we could be so flexible! Hip hip hooray for 6 months! This little lady was quite advanced for sitting on her own! I always suggest waiting until they are stable. It makes the session so much more enjoyable for them! Thank you so much for stopping by the blog! Comments and shares are always appreciated! You can even pin an image you like to your Pinterest board and be sure to follow the FACEBOOK PAGE for the latest sessions and sign up for the newsletter! Looking for Wooster Baby Photography? Mary Christine Photography is a Cleveland photographer that specializes in newborn and maternity photography. She serves greater Northeast Ohio, including Cleveland, Akron, Medina, Wooster, Brunswick, Wadsworth, and surrounding areas. 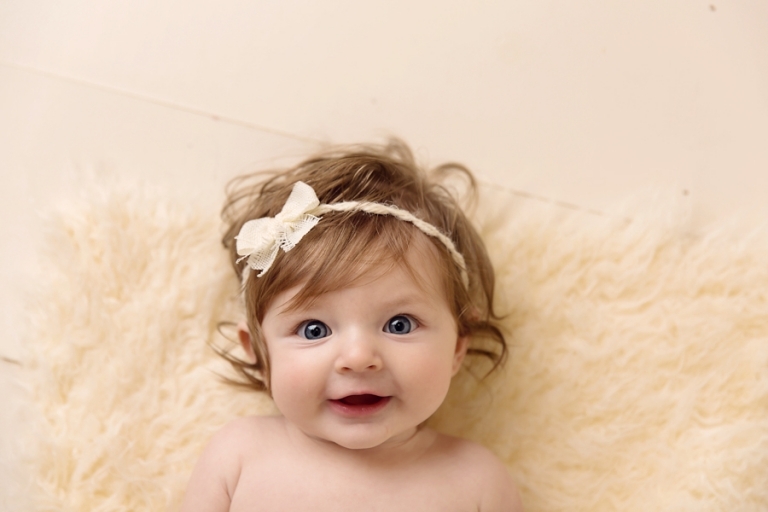 Please schedule your newborn session before your little one arrives to ensure your spot! I am currently scheduling well into 2017.